The Grand Teton Large Christmas Tree. 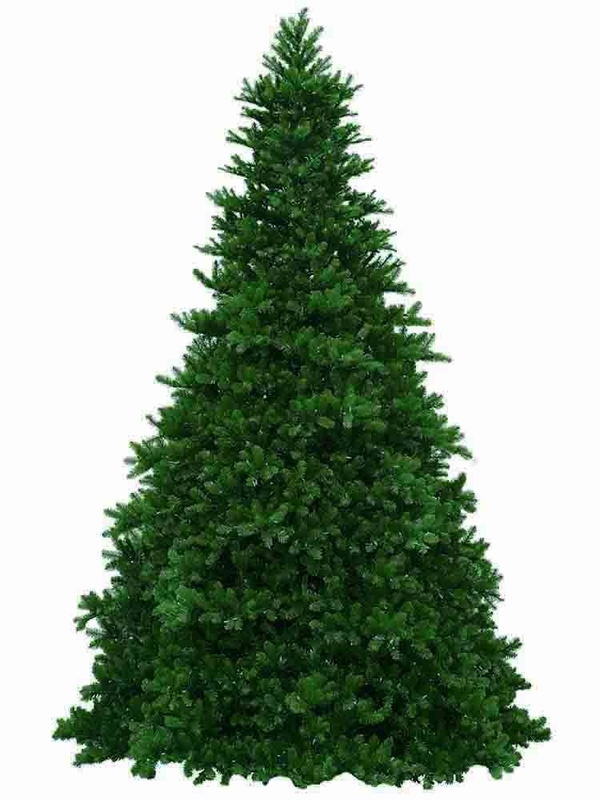 The 30 to 38 foot commercial grade trees can be used indoors or outdoors. The trees are a heavy duty 1 inch green tubular metal frame that is baked on Powder Coated finish for a long life. Each frame section is bolted on top of each other. Each branch is 24 inches long has 150 lights. The 18 gage oxidized wire branches slides into the steel frame (See Photo). The poly vinyl branch tips are .14 + .14 crush resistant and weather tollerant. The branches come pre-lit on electric harnesses. The top of the tree is a 2 section tree with hinged branches. Chose from either clear or multi colored of 5mm wide angle LED lights (See Photo). Other light options are available for special orders. The Grand Teton's is a good value tree compaired with other commercial trees. 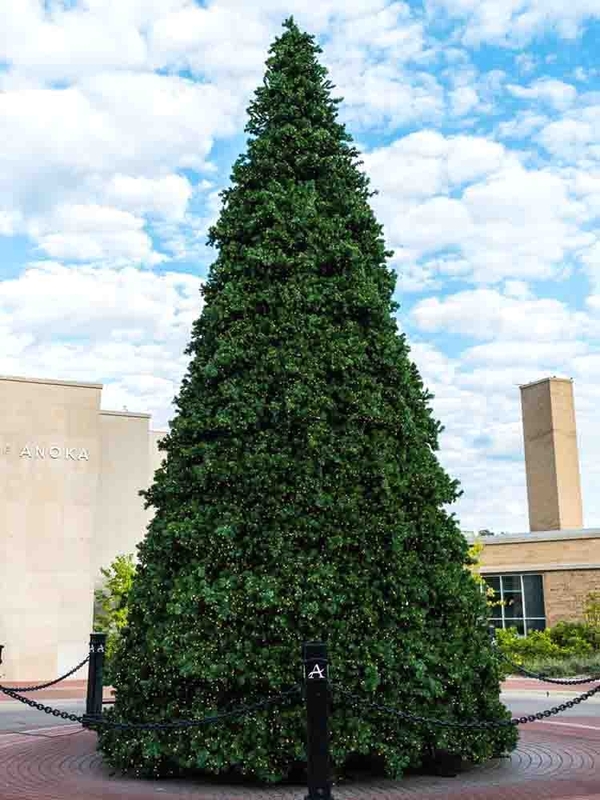 These commercial artificial trees are capable of withstanding the worst winter weather. 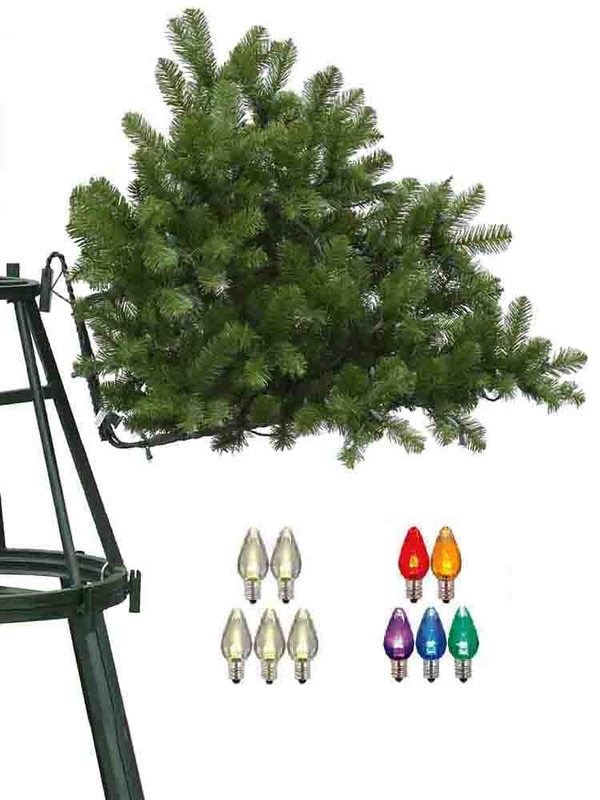 The tree comes packed in a metal crate with caster wheels for easy storage. Branches are hooked into the frame. Warranty has 10 years on construction. Warranty is for 3 years on the lights.